If the prospect of spring has you itching for a new wardrobe, you're not alone. Our whole office has been buzzing with spring trends we're dying to add into our rotation as soon as the ground begins to thaw. Not sure where to start? As always, we're looking to New York–based It girls who seem to always be a step ahead of the sartorial curve. Drawing inspiration from their ensembles, we've sourced Walmart for all the pieces worth incorporating into our wardrobes come spring. Think neon hues, bike shorts, comfortable—but definitely not boring—footwear, and, of course, the perfect denim jacket. 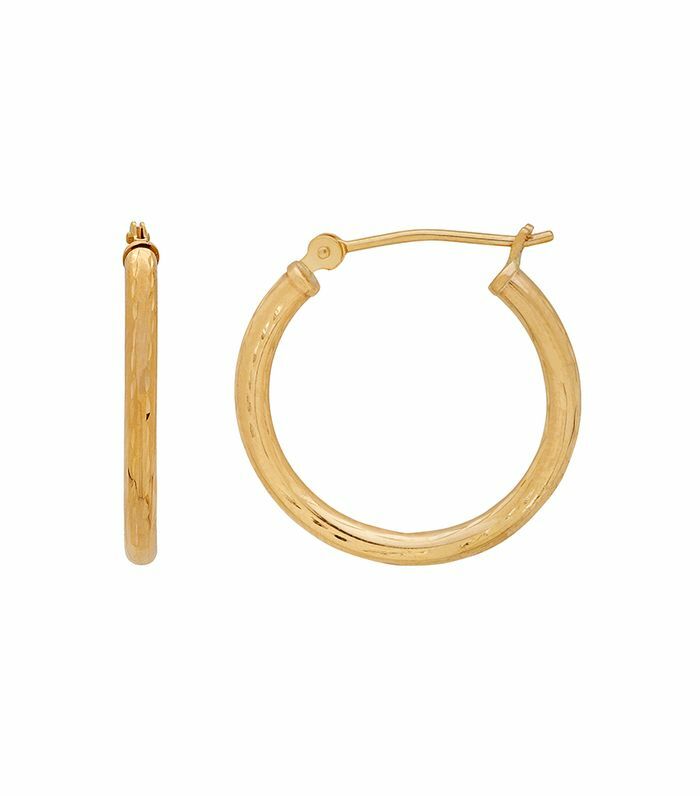 In case you had any doubts, gold hoops are here to stay. 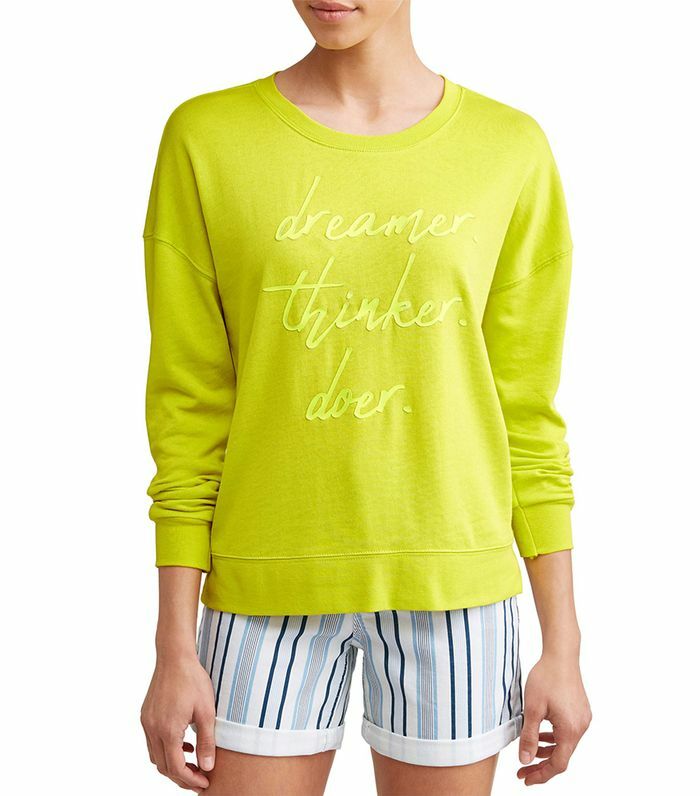 Slime green is having a moment, and this comfy inspirational sweatshirt nails the trend. Pair with an oversized blazer and heels, or a graphic tee and sneakers. Take on the neon trend in this more subtle hue. We love this thin gold chain for layering or wearing alone. Whether you're having a bad hair day or just need to take your look up a notch, spring's It accessory is only $5. We love how these sunglasses take on the cat-eye trend without being too obvious. Utilitarian style is having a moment, and there's no better way to lean in than with a camo coat.